It was a great pleasure for me to visit Kaliyangile (Kali) in February and meet again with Persis Musonda the manager and her board members, as well as student beneficiaries and others. My last visit was in 2017. With much encouragement, Kali is now emerging from a difficult period, and there is a palpable elevation of mood and an air of optimism. Persis is enthusiastic and keen to make a difference. 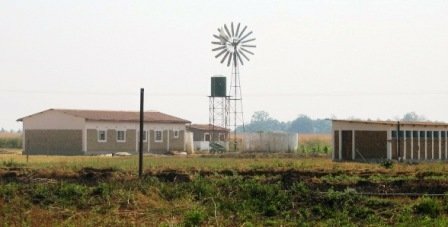 Last year, movements were restricted for a lengthy period due first to a cholera outbreak in Lusaka, and then by Foot and Mouth Disease locally. Fortunately these are no longer problematic. There has been limited success in this area, rather restricted at present by the single classroom and small tailoring workshop. 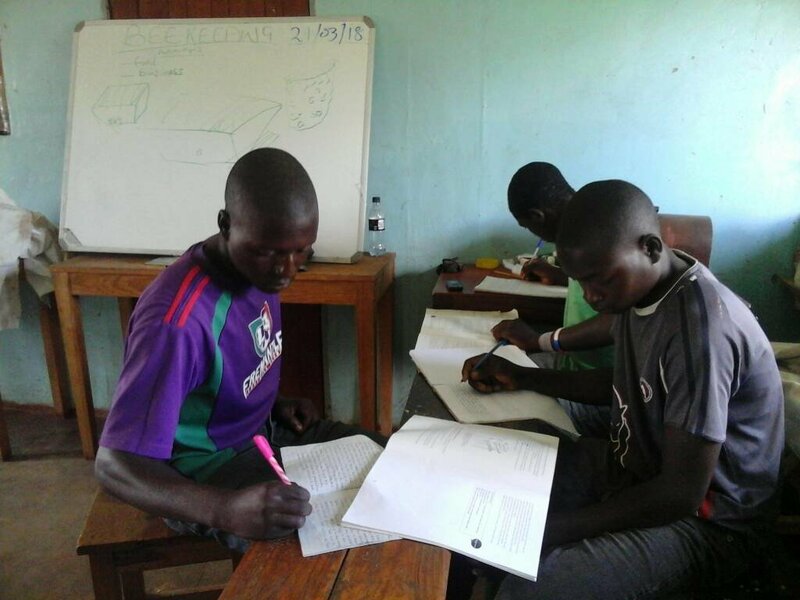 There are in total about 20 students attending at various times in the week, (plus 40 beekeeping students enrolled). This is the top priority. Persis’ home is a duplex bungalow and both are in a very poor state with cracked and damp walls, seriously leaking roof, and needing decoration. Under discussion currently, Patrick the landowner hopes to help soon when undertaking other fencing work. Much needed, this is dependent on HATW securing funding. Sadly we were turned down by one potential funds donor, but other applications are in. 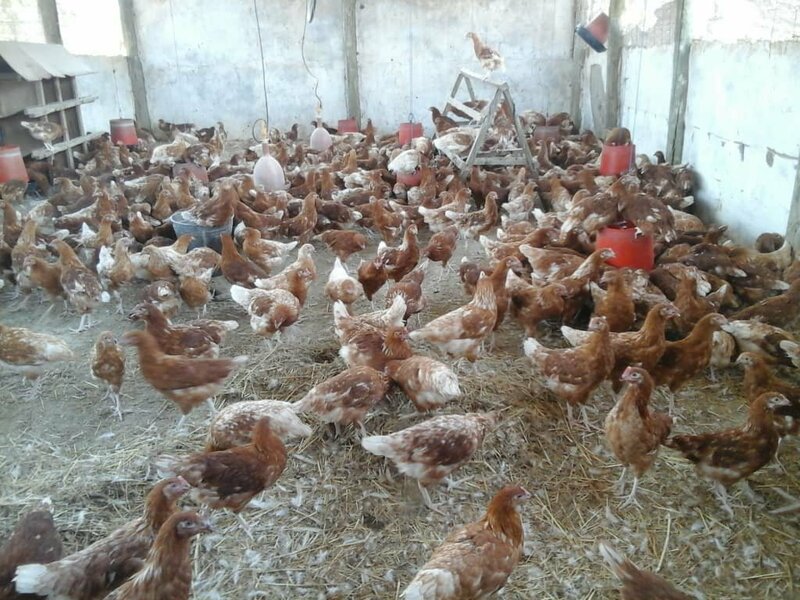 This is doing well, with almost 600 hens laying, minimal losses and a good market for the eggs. There are plans to make this a rolling programme (as funds allow) to ensure continuity. Their small egg incubator is now repaired and currently under test. It is helpful but funding for a larger one has been requested, including batteries to cope in power outages. This has been on the back burner for a time. With funds and HATW volunteer help, it could soon be brought to reality. Beekeeping training in partnership with the Forestry department is going well but is entirely theoretical at present. Funds we send just cover paying the trainers. In discussion with Persis and the students, I believe it would be helpful if we could fund materials for the Kali tailoring students to make each beekeeper a bee suit. Persis would like a printer / photocopier (cost approx. £350) both for direct use with students and admin, but also as a chargeable community resource, (similar to their hammer mill which generates income by preparing maize meal for humans, feed also for pigs, chicken and cattle). In conclusion, I am confident that the Kali project has a bright future under the leadership of Persis. I believe it is important that we support and encourage her as much as possible to continue the work she is trying hard to do. Sending short-term volunteers out would be very helpful, both practically and in providing encouragement. Please get in touch if you would like details of short-term volunteering opportunities or to help in another way. 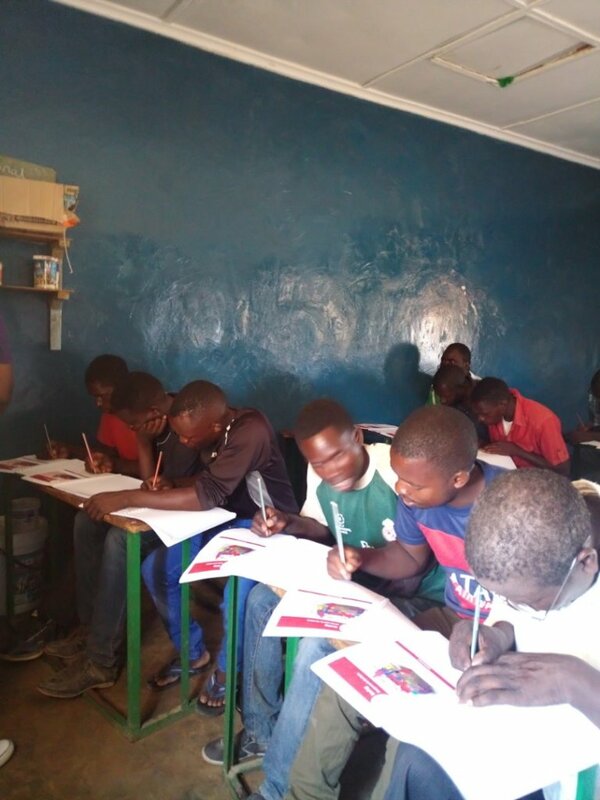 The past three months have been very busy and a lot more interesting as students participated in several activities which included community work, and World Literacy Day where they showcased their skills in literacy, knitting, tailoring and computing. This was followed by Independence celebrations in which our students gladly took part. 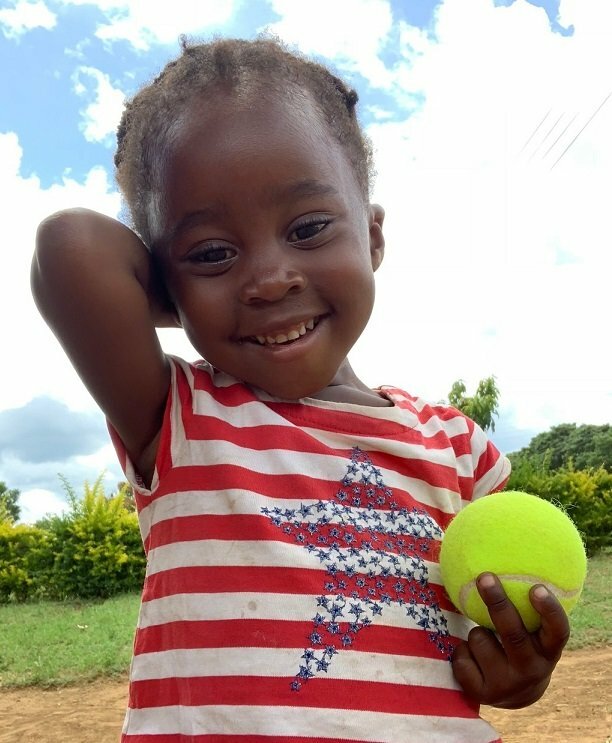 What is most impressive is that there has been a notable difference in community response the past few months as community members are getting to appreciate the contribitions Kaliyangile is making in improving the lives of our vulnerable youths and women in the community in a positive way. Our beekeeping students participated in a two day training workshop in entrepreneurship skills which was supported by the German government. 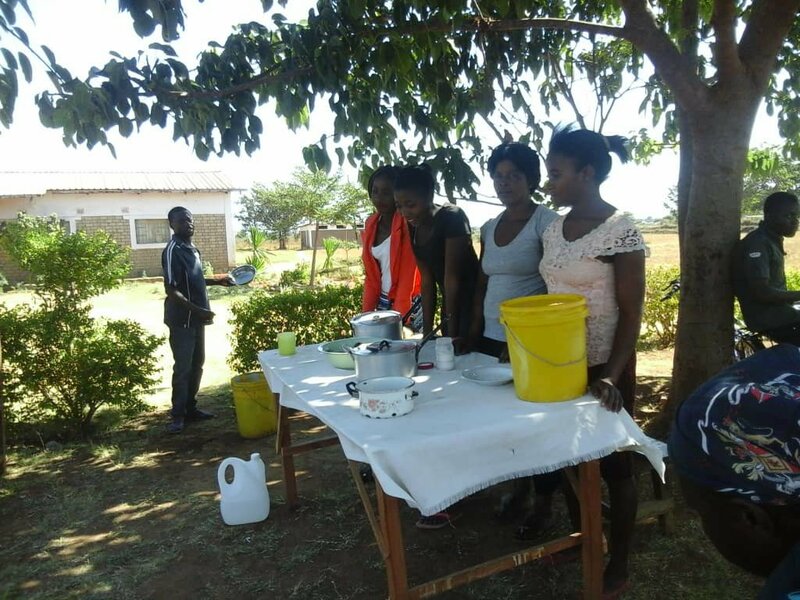 Some of our students participated in the Dairy Farming training workshops which are facilitated by the Dairy Association of Zambia through contributions from our local farmers. It wouldn't be right to forget the training in computing. The students are much happier now that we finally have our own computers. The programme has impressed a lot of youths, though we have restricted the enrolment number for easy monitoring. Our heartfelt thanks go to Hands around the World and other co-operating partners for enabling a clean learning environment. We have a new roof that is no longer leaking and a beautiful computer room. Hats off to the HATW team and may God richly bless your kind gesture! A lot has changed since the last visit from HATW in 2017. We are grateful that the project has once more become vibrant and full of life. The new hammer mill is helping us with livestock feed and it has cheered the community who are able to have their mealie meal at a cheaper price. 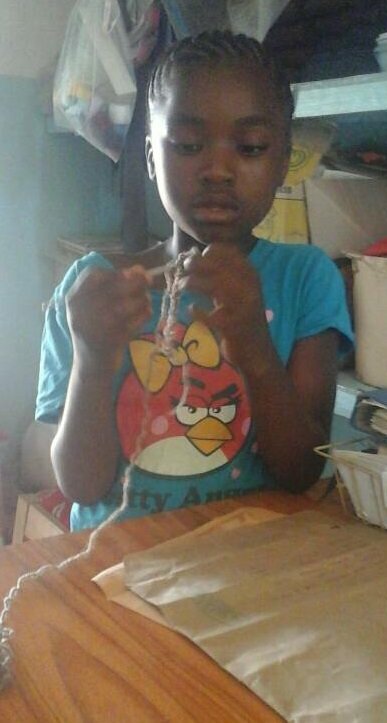 Training is well underway in Tailoring / Knitting as well as Computing now that we have five new computers. 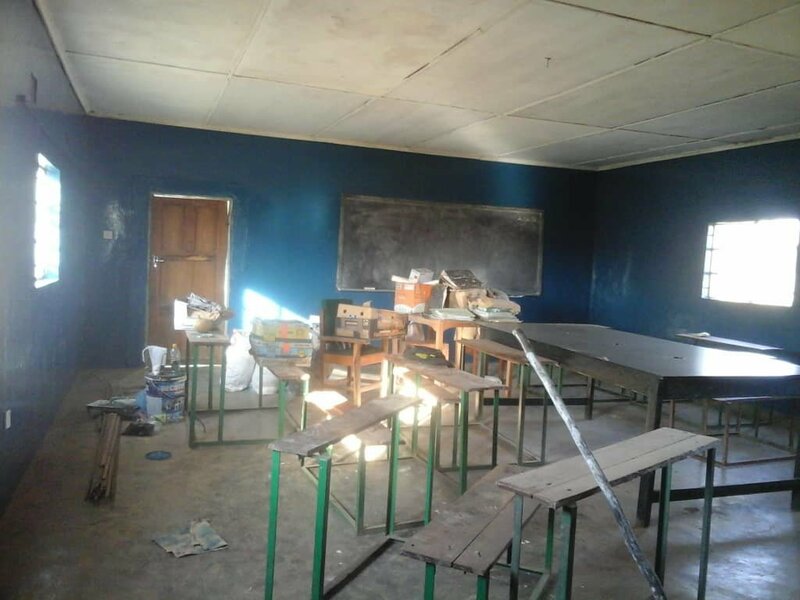 We have managed to renovate the classroom which was in poor condition thanks to HATW. 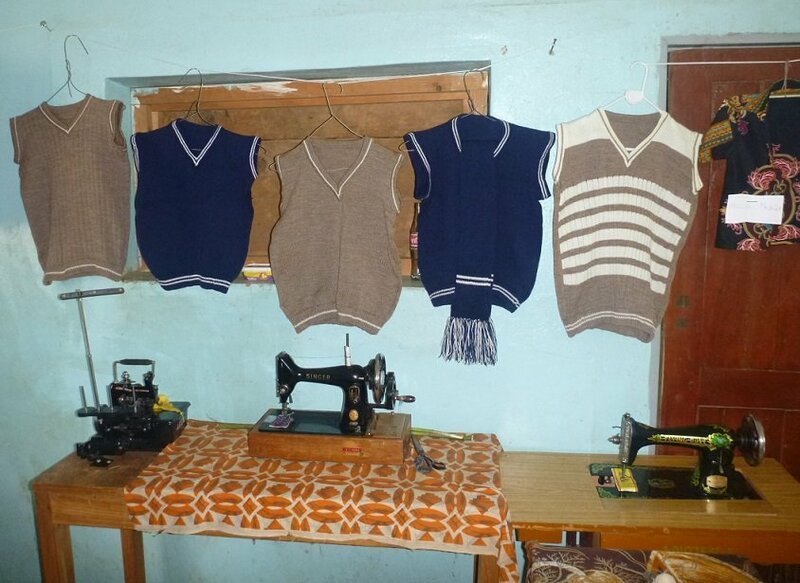 We have five students in Tailoring and 7 in Computing - our one classroom can not accommodate too many. 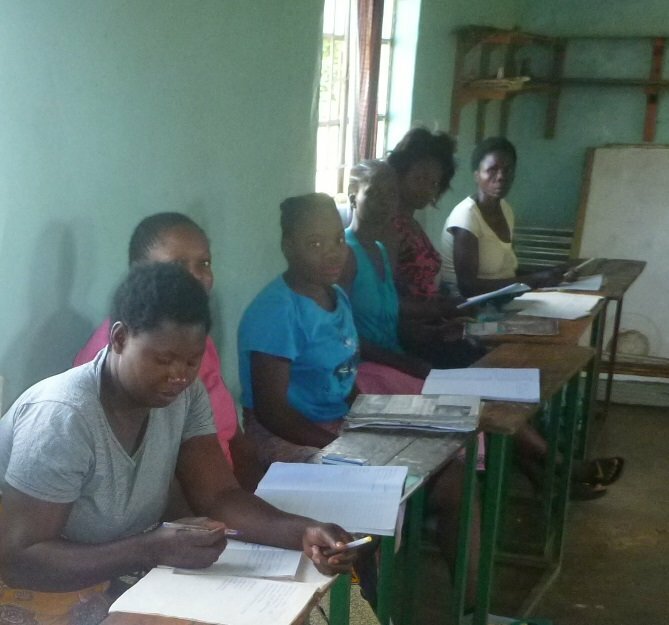 Adult Literacy is another joy to witness, as women and youths are being enabled to read and write as well as do mathematical calculations. The Beekeepers are happy with the help they are receiving from HATW to enable training together with the team at the Forestry department. 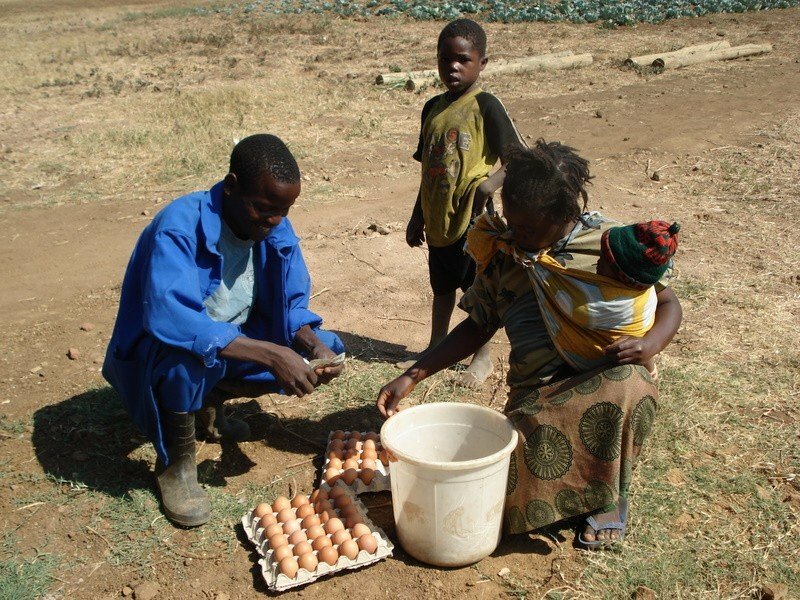 This year we are helping 22 farmers, among whom 7 are youths in Beekeeping. All thanks to the HATW team for their support. 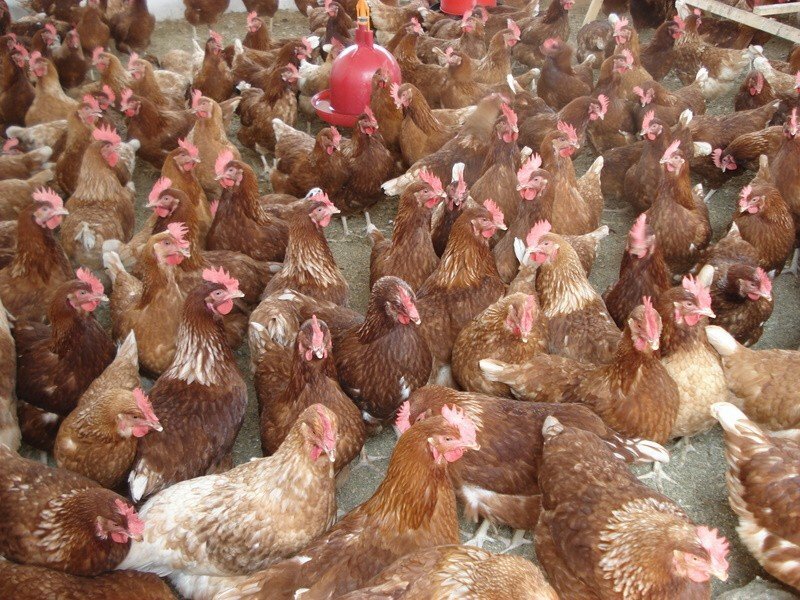 In order to sustain worker's wages, we have 600 new pullets that will start laying in December. Also, the piggery has steadily grown from one to 22 now. 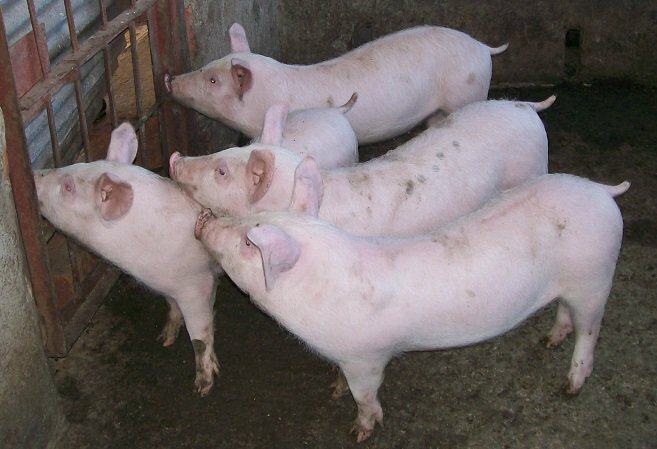 Although this project is long term, we managed to sell 8 pigs to raise funds for feed concentrates for both layers and pigs. We look forward to the new academic term which begins on 10th September, and thank you for your support. Last time I reported on the Christmas party delayed by a Cholera outbreak and computer classes delayed by the classroom roof leaking in the heavy seasonal rains. 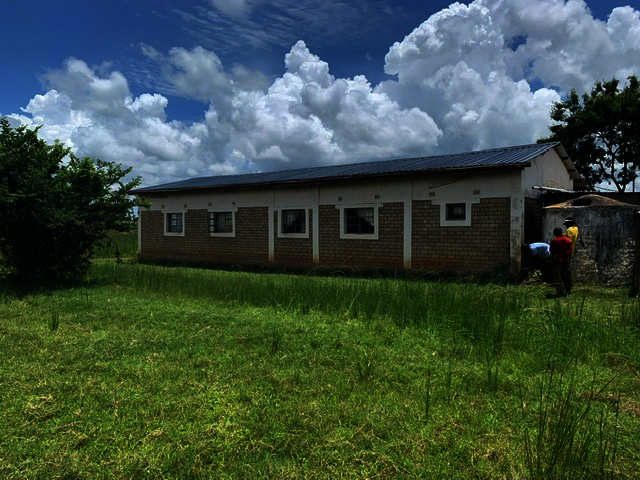 We have been busy getting the roof repaired and the classroom redecorated so that the computers can be installed. Not quite there yet, but nearly! No sooner had the travel ban been lifted than a new ban was announced due to a Foot and Mouth disease outbreak nearby. 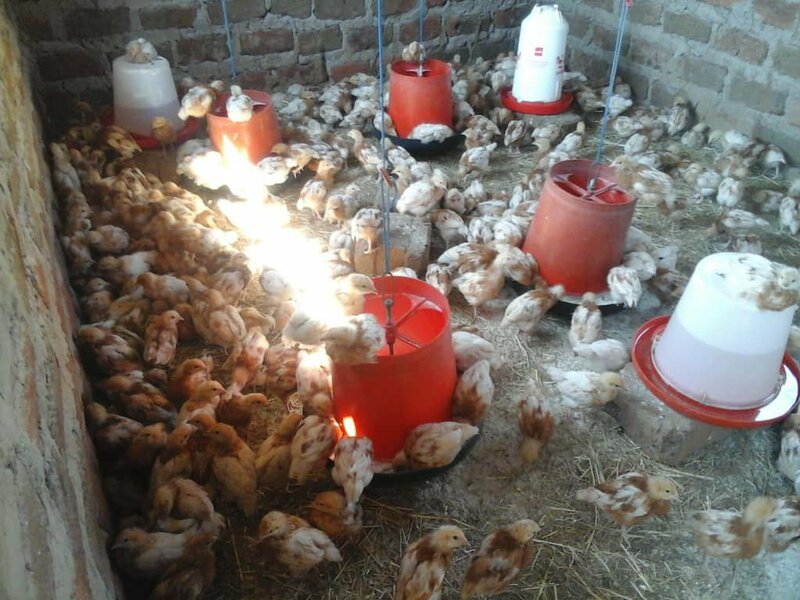 So, even though the centre is not directly affected, piglets and chickens can't be taken to market. Life is not easy! 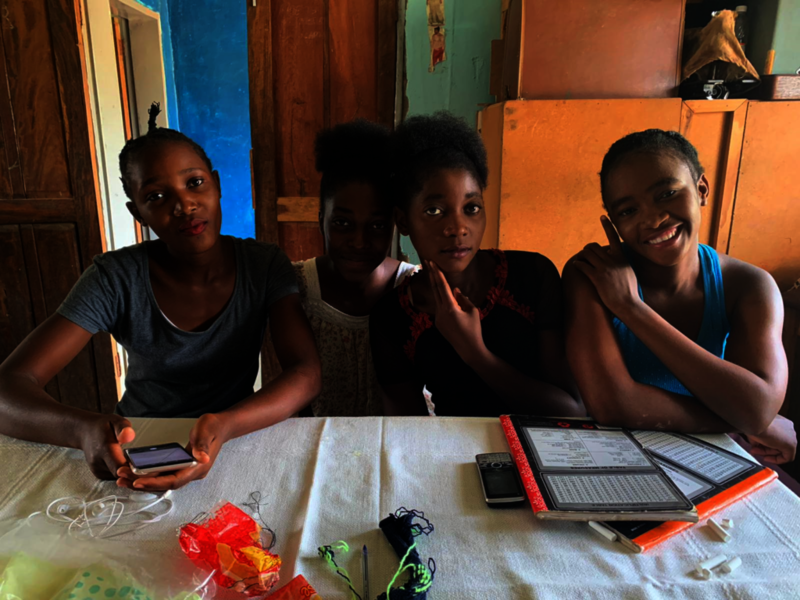 Persis is enthusiastically with her team drawing up plans for refurbishing the other buildings including staff houses and also for getting fish ponds ready and stocked. 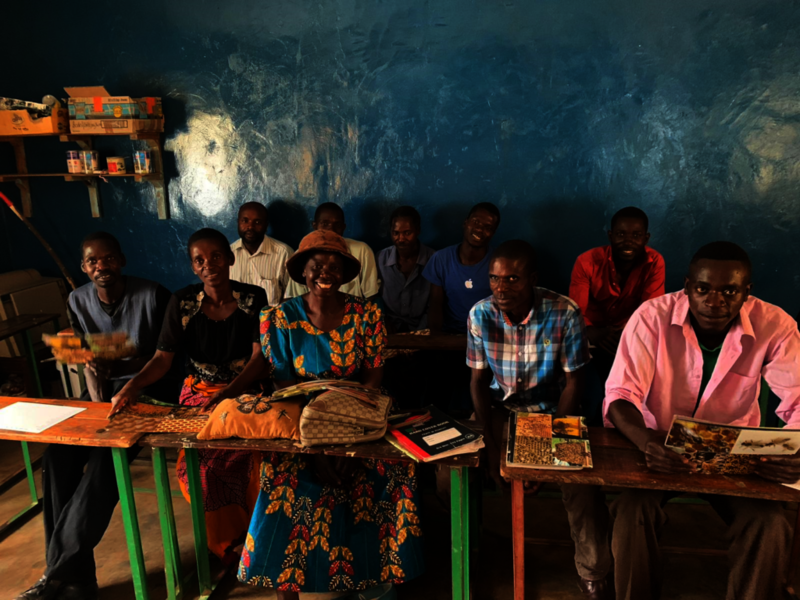 We hope too to be able to get another training workshop built soon. 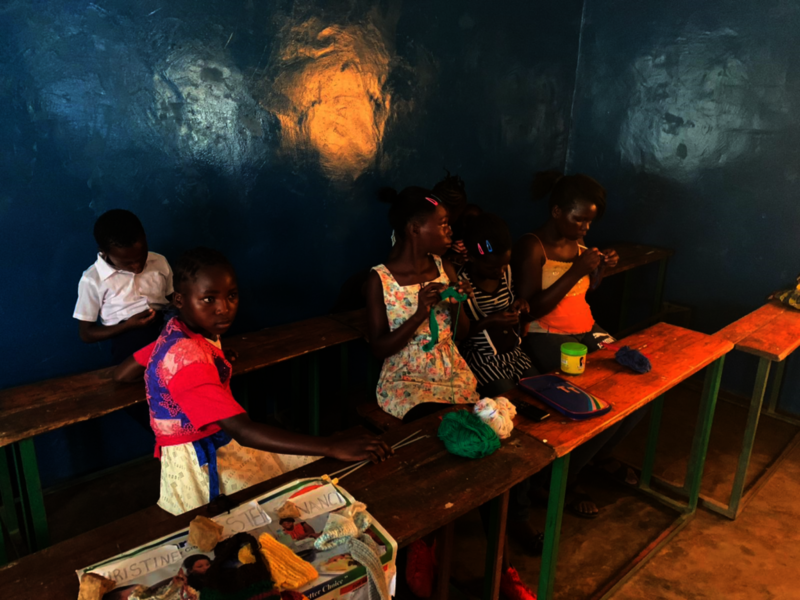 I spite of all the setbacks, good work is happening at Kaliyangile, especially with tailoring, knitting and basic literacy and numeracy classes. 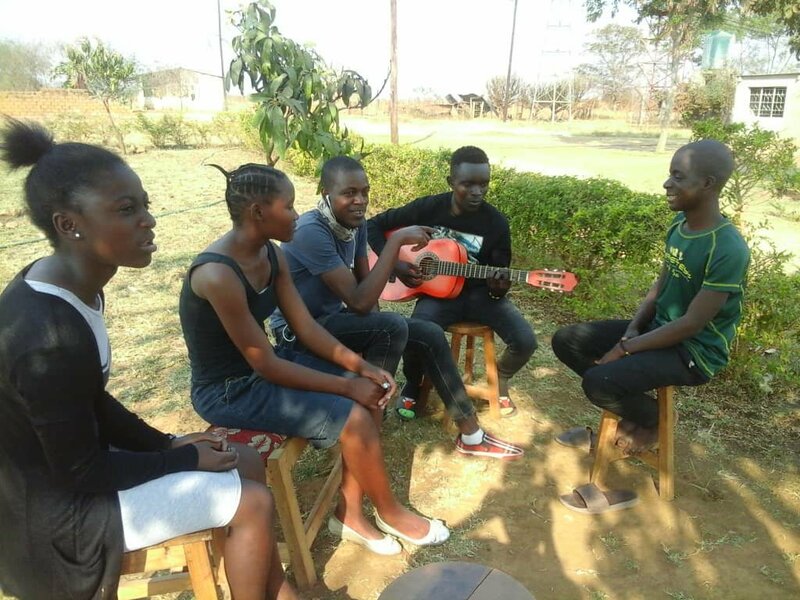 There are many needy and deserving young people nearby keen to enroll, and with some more funding in place, we hope in the next year to move the project along well. Please help us with a donation if you can. Thank you. 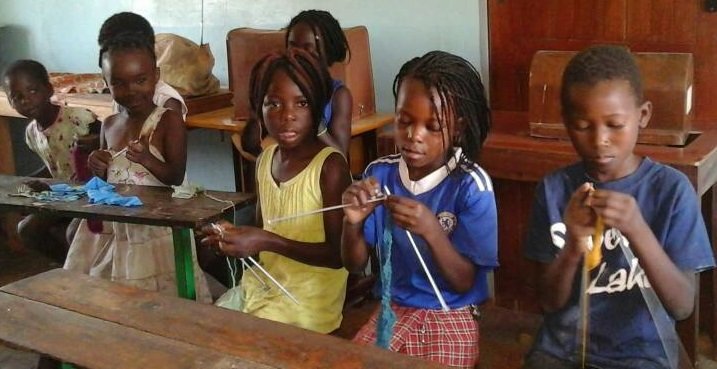 At Kaliyangile in Zambia, the knitting wool and needles sent out recently in our container were of great interest and much appreciated by many, as you can see! The sewing and knitting project is attracting regular (slightly older) trainees, the machines are busy, and seeing some new possibilities was a real eye opener. There was lots of clothing in the container too, including donated polo shirts and sports tops. The plan was to give this out at their Christmas party, but sadly this was long delayed because of a government-imposed ban on social events due to a cholera outbreak. At last the great day arrived! 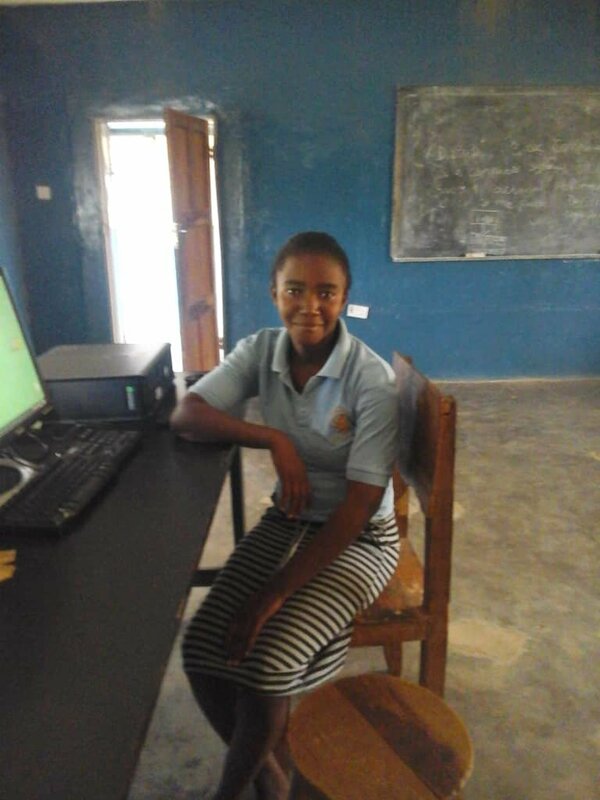 Persis is the project manager, and she writes: "It was a great day for the Kaliyangile community - committee, workers and students. We all enjoyed the celebrations and they were especially thankful to Hands around the World (HATW) for the support. It was all smiles when some clothing sent by HATW was given to the students as motivation. We look forward to a good year in 2018 and send our heartfelt love and gratitude to the team at HATW." The next project is to start computer training to help many local unemployed youngsters. 5 desktops, chairs and tables have now been purchased and are currently awaiting installation. 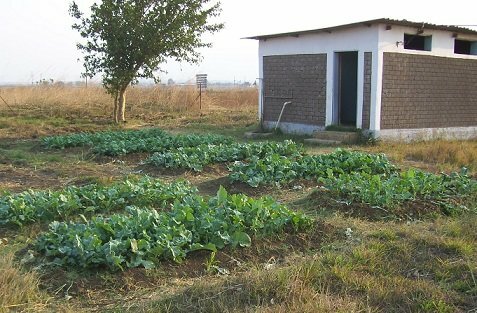 But in the heavy rainy season wind and downpours, the classroom roof has sprung a serious leak and needs a major overhaul and repair first. The anticipated cost of this is about £1350. Thank you so much if you have helped us in the past, and please consider helping us get the roof back on properly if you can. Thank you.